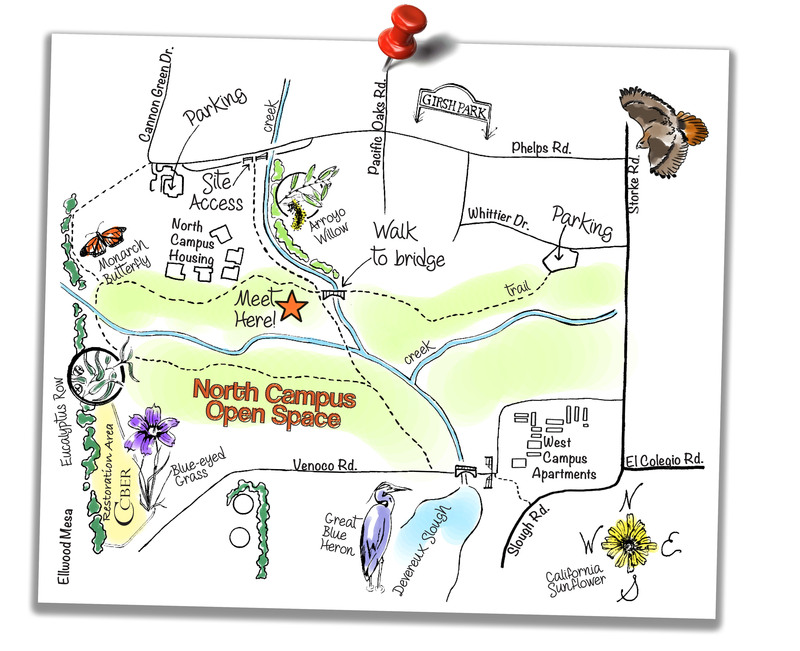 UCSB’s North Campus Open Space (NCOS), makes accessible an expanse of land extending some three miles along the Ellwood Devereux coast in Goleta by connecting several existing preserved properties. Explore the natural history of the area, connect with like- minded people, become a steward, expand your knowledge, learn new skills and be instrumental in preserving and restoring this area today and for future generations. Each month we will focus on a different natural history topic. This is a great opportunity for adults and children. We will have various fun and educational activities for school age children, as well as adult programs. Join us for one Saturday or for the whole series. Bring your own water bottle and we’ll provide snacks. Apply sunscreen, bring a hat and wear sturdy shoes. Interested? For more information or to R.S.V.P, contact the Nature Saturday's coordinator. Please include the number of adults and children over the age of 6 (list ages of all children attending).